These gigantic vermin –roughly the size of a horse- are one of dozens of native species of parasite & symbiote that live upon or within the Tarrasque. However, they are one species that has managed to thrive even post-binding and represent a continued threat to the citizens of Salt in Wounds and its environs. Ramora Fleas resemble exactly a titanic version of an ordinary flea that can be glimpsed under a magnifying lens; all chitonous plates and oversized legs. When not feeding upon the Tarrasque, they can grasp a creature with their forelimbs before plunging their mouthparts into flesh, and their ravenous thirst can drain a man in less than a minute. They are also capable of leaping hundreds of feet, even whilst holding a screaming duergar. 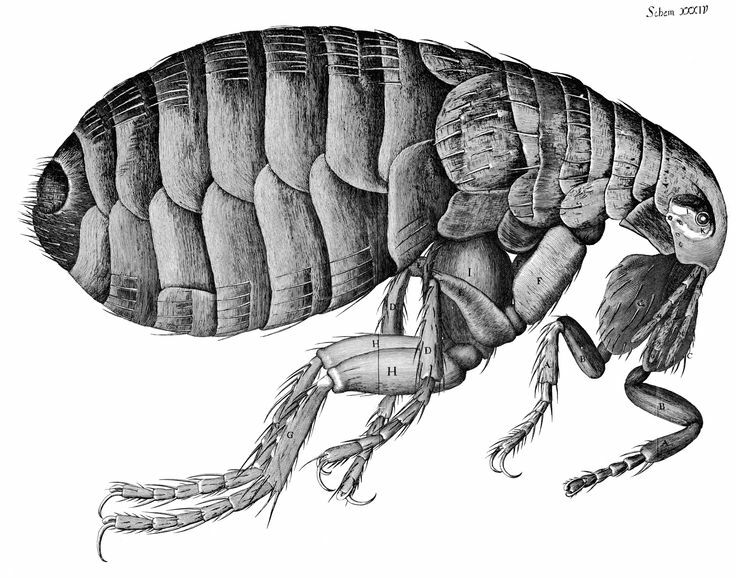 Due to their mobility, Ramora Fleas represent a fast moving hazard to the entirety of the city and beyond. God-Butchers regularly scour the surface of the Tarrasque to kill these creatures and destroy their eggs; issuing city-wide warnings when they plan to disturb a patch of the things… anticipating that dozens if not hundreds will flee over the walls of the fortress Salzinwuun into the districts beyond. Certain individuals with racial or magical control over vermin prize these creatures as incredibly powerful servants and mounts.